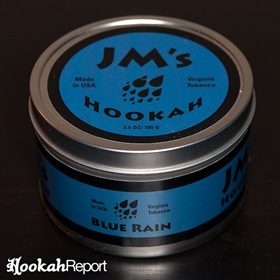 JM’s Blue Rain is a very fine cut, medium wet tobacco, though it is more oily than slimy. When mixed well, the juices will leave your fingers good and sticky. 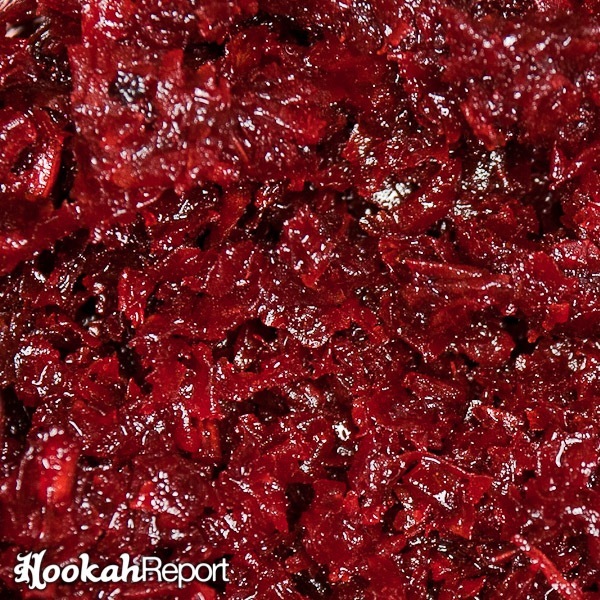 There are a few small stems mixed amongst the tobacco, though nothing that will get in the way of packing your bowl. JM’s Blue Rain began smoking from the very first draw. The smoke and flavor were their richest after about five minutes. The tobacco produced no head-buzz whatsoever. 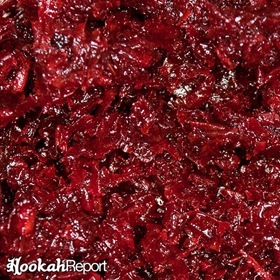 The session lasted about an hour and twenty minutes before the flavor and smoke dropped off sharply. Blue Rain is a candy-sour grape, with a mild mint element to it and that is very much what it tastes like. It’s positioned to be a competitor for Starbuzz’ Blue Mist, though the taste is really not at all similar. 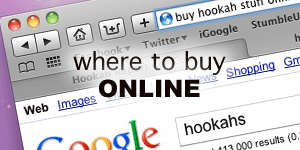 Within the hookah world, the flavor is much closer to Al Fakher’s Golden Grape, though a bit more refined. 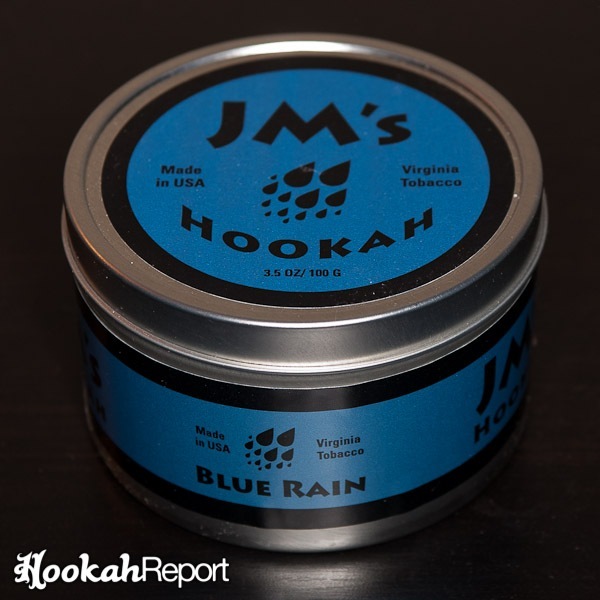 JM’s Blue Rain is an interesting flavor. I found it difficult to decide if I actually liked it or not. There also seems to be some flavoring ingredient which I respond strangely to, as it would sometimes cause a tingle/numb feeling on my tongue. Also worth noting, the mint flavoring is very sensitive to heat. If you overheat your bowl, you will rapidly burn up the mint and it will be absent from the rest of the session. Likely candidates to enjoy this flavor are fans of tart-fruit flavors, as this one is not very sweet. Or, if you’re a fan of grape/mint flavors, you’ll likely feel right at home with this one.